The latest and final season of Game of Thrones premiered on April 14th, 2019. Now, the internet is abuzz with fans speculating, crafting wild theories, and rooting for their favorite character to take the Iron Throne. Are you doing that as well? If you are, what if we told you that you could make big bucks just using your knowledge to predict and bet on the results? What if it wasn’t just Game of Thrones, but every event you follow and enjoy? Online event betting is now live on Freebitco.in, and it’s everything you could ever wish for. From Game of Thrones to your favorite sports to bitcoin price predictions; predict, bet and win bitcoins! Game of Thrones: Do you know the vast lore of Game of Thrones well enough? Predict which character takes the Iron Throne and win the prize pool! UEFA Champions League: 8 teams left, Messi vs. Ronaldo quite possibly on the horizon. Who’ll win the coveted Champions League? Formula 1: Will Lewis Hamilton keep his crown? Or will Vettel take it away this year? What do you think? ICC Cricket World Cup: The cricketing nations of the world are all set to lock horns this summer. Will England be triumphant on their home ground? Or will Australia keep their trophy? Bitcoin Price Predictor: BTC just experienced its first bull run in a long time, and everybody’s optimistic about the crypto touching astronomic heights. Where will the bitcoin price be at the end of 2019? 2020? Predict and win BTC. 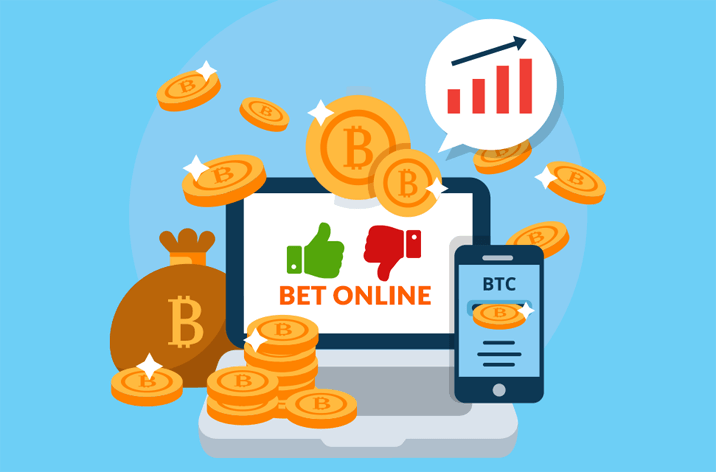 Every event on the Online Betting page on Freebitco.in has a number of choices; for example, the Game of Thrones betting event has Jon Snow, Daenerys Targaryen, Tyrion Lannister and so on. Every option displays the estimated odds of winning the bet, and there’s a time-weight multiplier that factors into your winnings as well. The Time Weight Multiplier is an additional factor added to our betting events to incentivize early bets by assigning them a higher weight than later bets. The Time Weight Multiplier starts at 100 for each event and goes down as time passes, eventually reaching 0 when the event ends. So, the quicker you make your bet, the higher share of the prize pool you can win! Now, all you have to do is head over to Freebitco.in, go to the Betting page, predict and bet on the results, and win huge BTC prizes at the end of the event!